Burnt Out Truck, Institutskaya St. 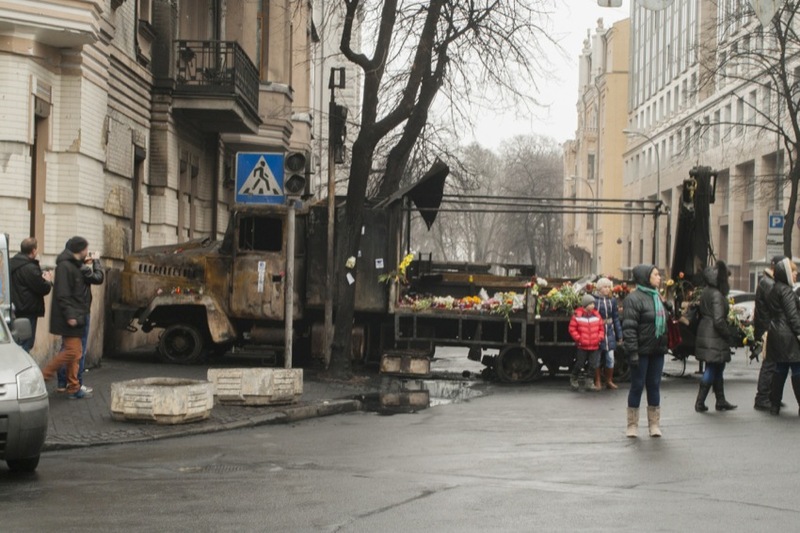 These photos were taken on March 1, 2014, in the areas where the protests and riots have taken place. In order to get these out more quickly than usual, I have used a minimal level of processing. If you should want to look at all of these photos right now, there is a link below that will take you to the whole series. Otherwise, I will release these one at a time over the next few weeks. Complete photo series on Photobucket... Kiev Riots on Photobucket. Featuring photography by Matt Shalvatis, free HDR tutorials, photography and post-processing tips, with more to come! The Matt Create "Break the Rules" HDR Tutorial, Part 1. Max Photo Makeover - Classic Gaz Automobile. Tutorials, workshops, tools, and more. Free E-Store and website for artists and photographers.